This pack of Do It Now Communication Impact cards are a practical resource to help deepen your learning experience with Maynard Leigh. Each week, pick a card to reveal a Maynard Leigh tip on how to improve employee engagement, along with an action point designed by our experienced executive coaches, and an inspirational quote. This pack of 'Do It Now Action cards' can be used weekly as there are 52 cards in each pack. 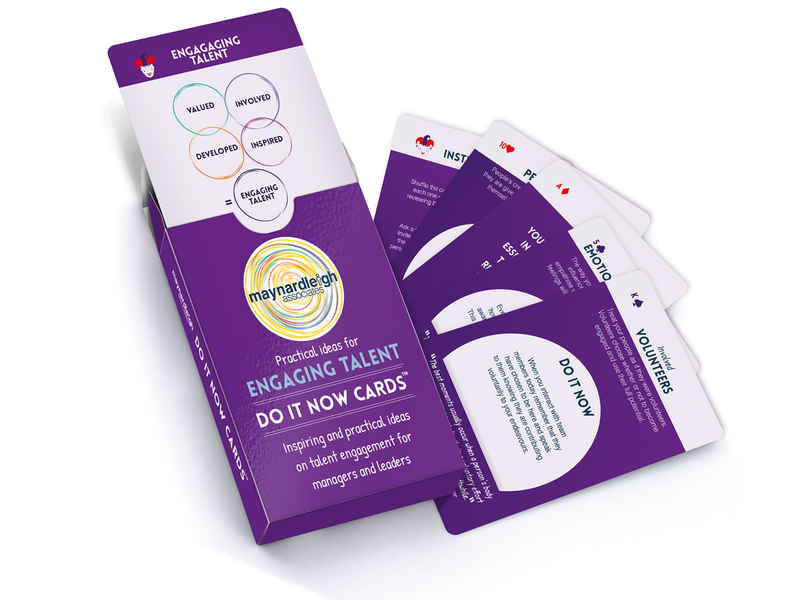 They are part of the 6 set series - Do It Now Impact cards which can also be purchased; Lead with Impact, Personal Impact, Presentation Impact, Team Impact and Communication & Impact. Not only are these a practical and 'easy to use' set of action cards, they can also be used as classic playing cards with all the suits and jokers to boot. The price of each pack is £10.00, inc postage and packaging. Delivery takes up to two business days, upon receipt of payment. please spend a few seconds sharing some information with us. You may hear from us from time to time but we won't provide this information to any third parties.